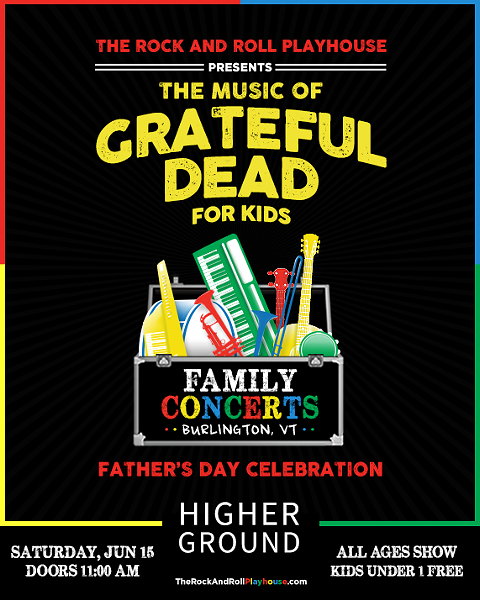 The Music of Grateful Dead for Kids: Father's Day Celebration | Higher Ground | Live Performances, Music | Kids VT - small people, big ideas! When: Sat., June 15, 12 p.m. The Rock and Roll Playhouse — a family concert series — gets kids moving and grooving to tunes from the classic rock canon. Doors open at 11 a.m.
Price: $15; free for children under age 1.